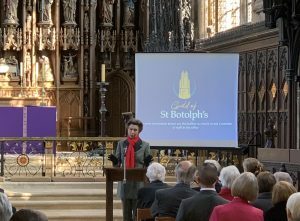 The Guild of St Botolph’s was officially launched on Monday 1st April 2019 by Her Royal Highness, The Princess Royal. Thisnew joint fundraising scheme by the Friends of St Botolph’s & the Boston Stump Restoration Trust looks to create a self-sustaining future for St Botolph’s. 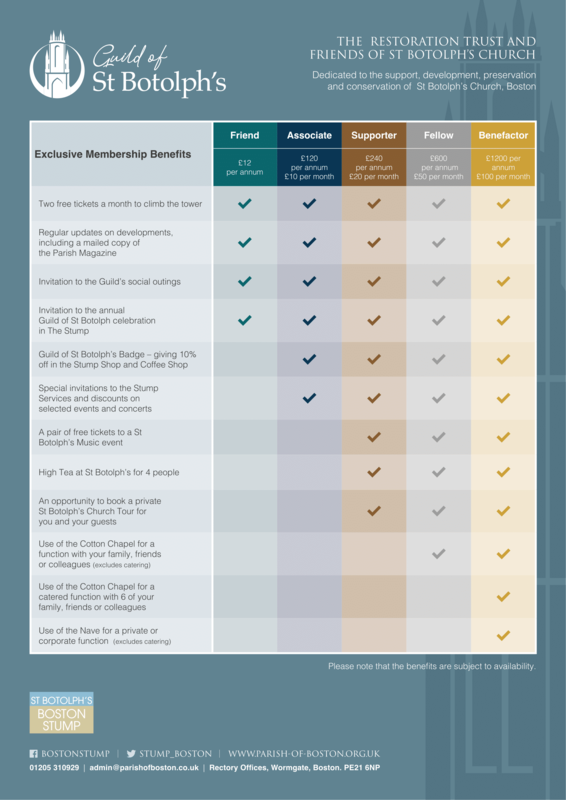 Through signing up for membership, members of the Guild will be entitled to various benefits [for more information see below]. Membership to the Guild can cost as little as £12 per year through to £1,200 per year. With varying different levels of membership, there is a level for everybody. For Terms and Conditions please see below. Signing up couldn’t be easier! All you have to do is contact the Parish Office via (01205) 310929 or email adam.kelk@parishofboston.co.uk and we will be able to help.